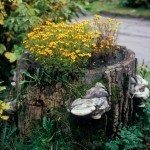 I'm working in a 6 x 6 feet tall and 3 feet tall above ground and has a tree and some annuals flowers in the planter, which is encased of wood planter. It has lots and lots of tiny ants. My question, is it ok to have them? This is my year working in this planter. The person before me did not care about the planter...but did like to put out food for birds. Thank you for your advice. Ants have their place in the ecosystem and do a lot of cleanup and recycling, so if they don't bother you, bite you and make your gardening impossible, let them be to do their thing. If they are making life miserable for you, or you think they are doing damage or farming aphids or scale insects in the tree or annuals, then you may consider control options.